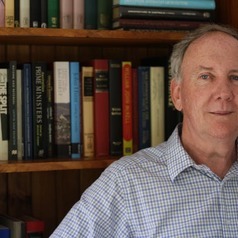 David Clune was for many years the Manager of the NSW Parliament’s Research Service and also the NSW Parliament’s Historian. He has written extensively about NSW politics and history. He is the author with Gareth Griffith of Decision and Deliberation: the Parliament of NSW, 1856-2003, and the editor with Ken Turner of The Premiers of NSW, 1856-2005 and The Governors of NSW, 1788-2010. He was a member of the Sesquicentenary of Responsible Government in NSW Committee and the Governor Macquarie Bicentenary Committee and is a member of the Editorial Committee of Australasian Parliamentary Review. Dr Clune was awarded the Centenary of Federation Medal in 2001 and the Order of Australia Medal in 2011.